Everything Everywhere (EE) transports thousands of mobile devices daily, and every lost or damaged product hits the bottom line. The mobile market is fast paced and competitive and with over 600 stores across the UK alone, keeping customer products where they need to be is a big challenge. EE contacted Versapak to help them find a transportation method which would protect their fragile devices from damage in transit and keep the customers’ data safe from loss or theft. The Versapak Bespoke Solutions team reviewed their logistics requirements. With our many years of experience working with a wide range of industries, from retail to government, we came up with some ideas on how to protect their valuable products. At the same time, making sure they could track their items through the transportation process. 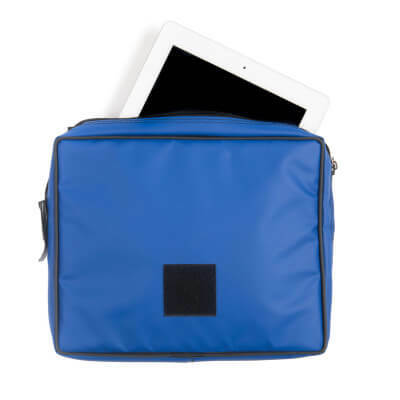 Using the Versapak Courier Satchel as a starting point, we designed and tested a tailor-made bag that was water-resistant, padded and stiffened to protect the fragile, high-value electronic devices inside. We also recommended our tamper evident sealing system with uniquely numbered security seals. 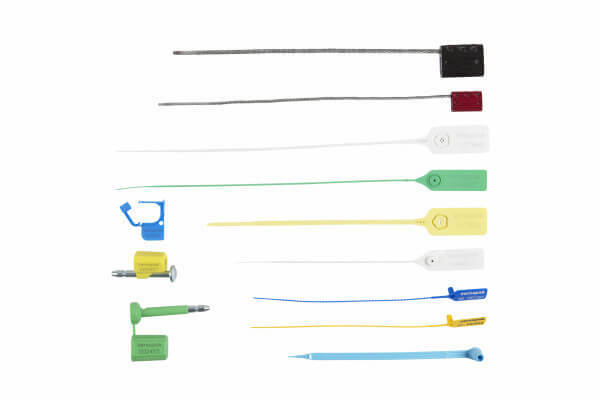 The numbered seal makes it possible to register the package along each step of the journey so that if the seal is broken, EE can trace where and when that happened and take the appropriate action. The design and production of samples took just ten days.  Upon approval, Versapak delivered 20,000 bags and all the required seals in just four weeks. We can cut our competitors’ timescales by more than two-thirds because we have the design skills, manufacturing facilities and 40 years of experience in one company. We also achieved this at a cost that was cheaper than the system they had been using before. EE was so happy with our work they asked us to develop an additional 5,000 secure bags for another part of the business. 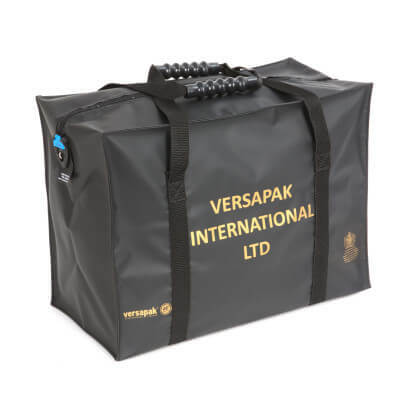 Versapak's secure holdalls are an integral part of procedures in banks, offices, retail outlets and document storage facilities. Versapak's security seals are used to provide an indication of tampering and act as a deterrent against unauthorised access. From fire extinguishers to shipping containers, Versapak offers a wide range of tamper evident pull and tie seals to help protect your goods.